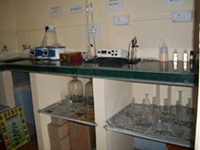 The company has a Soil & water testing laboratory. 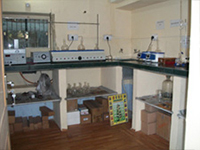 The laboratory is situated in Rapid organic farming center. The farmers find it extremely difficult to know the proper type of fertilizer, which would match his soil. 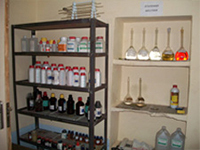 In using a fertilizer he must take into account the requirement of his crops and the characteristics of the soil. The basic objective of the soil-testing programmed is to give farmers a service leading to better and more economic use of fertilizers and better soil management practices for increasing agricultural production. High crop yields can not be obtained without applying sufficient fertilizers to overcome existing deficiencies. A fertilizers recommendation from a soil testing laboratory is based on carefully conducted soil analyses and the results of up-to-date agronomic research on the crop, and it therefore is most scientific information available for fertilizing that crop in that field.